Turn tube upside down and twist pellet dispenser. Twist until 3 pellets have fallen into cap. Carefully remove cap. Make no direct contact with the homeopathic medication. 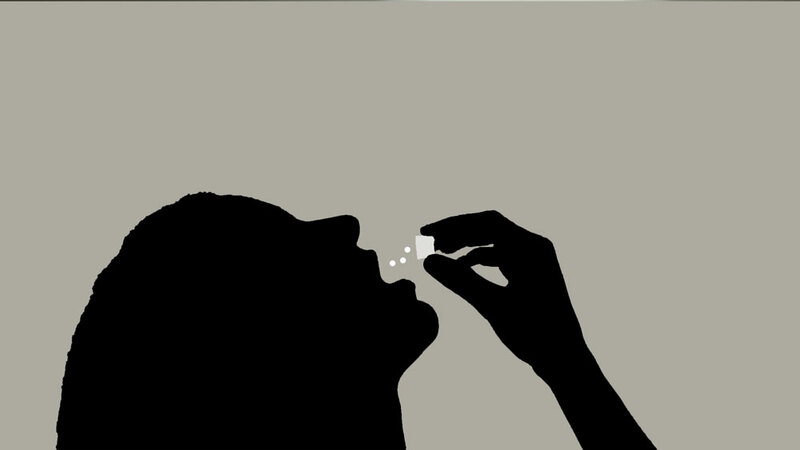 Before taking medication, do not handle the medicine, as doing so reduces its potency. Medicines can also be spoiled by exposure to unhygienic conditions. 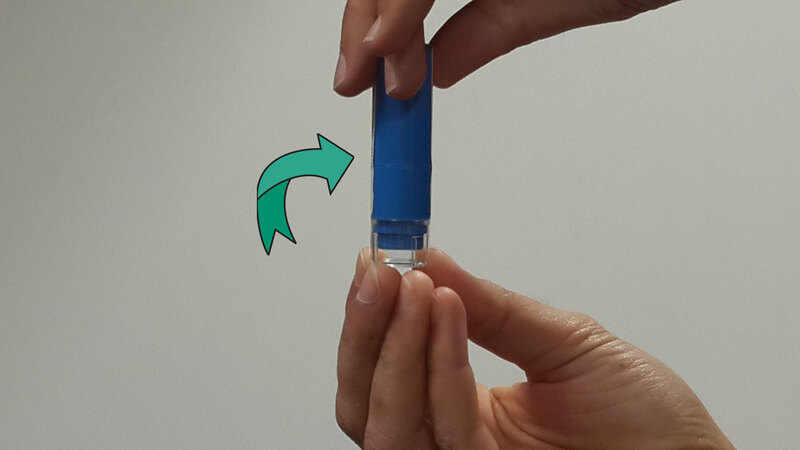 To dispense pellets, always use the cap of the medicine bottle, rotating it until the desired number of pellets are achieved. The cap should then be wiggled off the tube – users should not be worried about extra pellets falling out – and pellets tipped into the mouth. Pellets should not be chewed or swallowed, but instead allowed a few minutes to dissolve; experience dictates that the medicine works best when dissolved under tongue for a few minutes. Sublingual absorption (under the tongue) is the most efficient way of administering oral homeopathic medication, therefore users should place pellets under tongue until dissolution is complete. Users should take the homeopathic medication free of strong flavors or other substances that could potentially coat the mouth. Take careful precaution to allow 15 minutes before and after taking medication to eat, drink, or brush your teeth. There is a strong possibility that remaining food particles can impede pellet absorption. Medicine will not interfere with digestive interaction and therefore, food consumption does not need to be altered in any way. Food from the stomach will have no influence on the mucous membrane, where the medicine’s absorption takes place. However, water can be imbibed five minutes before or after taking the homeopathic treatment. Coffee? A controversial topic when it comes to homeopathy. More current studies have demonstrated that coffee has no effect on medication even if consumed 15 minutes before or after medication. The same goes for onion, garlic, ginger, and other strong-smelling substances. For adults and children age nine years and older: dissolve 3 globules under the tongue 3 times per day, or as directed by a doctor. For children age five to nine years: dissolve two globules dissolved in a glass of water (20cc), three times a day, or as directed by a doctor. For children age one to four years: dissolve one globule in a glass of water (20cc), three times a day, or as directed by a doctor. For infants under the age of one: dissolve 3 globules in a glass of water (20cc), two teaspoons once a day, or as directed by a doctor. How to protect the medicine. Medication can often be tarnished in direct sunlight or heat over 86 degrees (such as a car in summer). Strong odors can also affect the medicine, so users should avoid wearing perfume when ingesting. Remedies should be stored in a cool, dark place, free from direct sunlight and strong odors. How to discard spilled or transferred medicine. Do not return spilled medicine to the container, but instead, immediately discard. 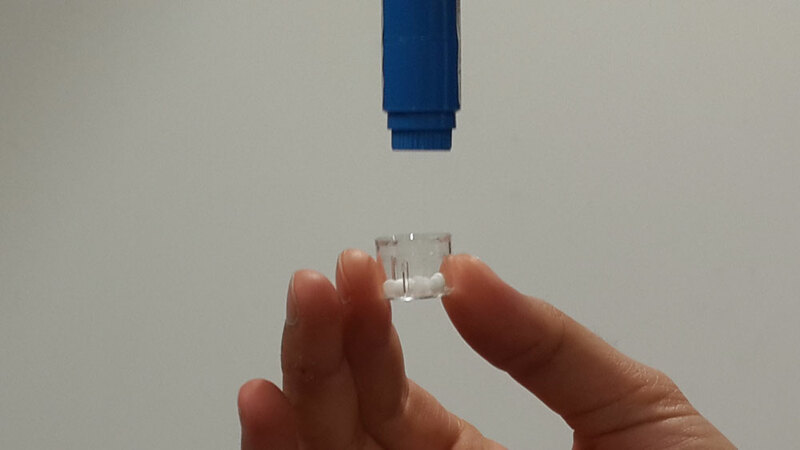 Medicine should not be transferred to any other container, and even after all medicine has been exhausted, the container should not be repurposed. There are minimal risks of serious side effects and no contraindications associated with homeopathic treatments. In fact, many homeopathic remedies can complement other conventional medications. Premilife medication should not be taken past its expiration date. More frequently or in a higher dosage than prescribed, unless by consultation with a doctor or dentist. If pregnant or nursing (users in these states should consult a doctor before use). If imprinted tamper band is broken or missing (contact us for an exchange). If an accidental overdose should occur, immediately contact a medical professional or poison control center. If you have any questions, do not hesitate to reach out to us. We thank you for entrusting us with your health and wish you a speedy recovery! We have answered your question in a personal mail sent to you. We hope you found our answer sufficient and that it provided you with the information you were looking for. Quisiera preguntarles si este medicamento es posible encontrarlo en Colombia ? Tienen ustedes algún centro homeopático en este país ? O en Tokyo Japón ? Hola, me diagnosticaron osteonecrosis en mi rodilla ixquierda y me gustarìa más informaciòn sobre el tratamiento. Me han diagnosticado agujero macular en el ojo izquierdo. Quisiera saber: 1) Que información sobre el diagnostico requieren para recomendar tratamiento?. 2)En cuanto tiempo estiman se empieza a ver los efectos de la Homeopatía, recuperación de la visión de detalle en el ojo izquierdo. Tienen representante en Colombia, concretamente en Bogota? Agradezco de antemano, su respuesta oportuna. Hola mi Mamá padece de artritis degenerativa y una de sus rodillas ya esta afectada quisiera informacion soy de Puerto Rico gracias! PLEASE: I DON´T WRITE ENGLISH. I’M BRAZILIAN. WRITE IN PORTUGUESE: TENHO EDEMA MACULAR TIPO SECO EM AMBOS OS OLHOS, MAIS MEMBRANA EPI-RETINIANA EM SEU INÍCIO E DRUSAS. EXISTE ALGUM TRATAMENTO PARA TAIS LESÕES ? OBRIGADO. Hola mi nombre es jonathan morelos me diagnosticaron osteonecrosis en el escafoides la cual empezo por una fractura de astragalo la cual sano muy bien queria preguntar si hay algun tratamiento que me pueda ayudar. Ola tengo una neuropatía periférica me pueden decir q valor tiene el tratamiento para colombiano. My father’s age is 48. He is suffering from Myositis ossificans in left hip after a head injury 5 months ago. Can it be treated & how..?? We have answered your question in a personal mail sent to you. El tratamiento sería para mí madre, tiene 78 años, es obesa, y le diagnosticaron ortrosis degenerative, en sus rodillas, y túnel carpiano en las dos manos, ya se operó una.. pero no recobra la sensibilidad ni la fuerza. Si considera que sus tratamientos le pueden ayudar, por favor le pido que nos informe que y cómo hacerlo. Necesito informacion y cuan real y serio es su remedio para la cura de la degeneracion macular que sufre mi esposa (Amanda Guevara). Los medicos le dicen que no hay cura para esa enfermedad. Espero su informacion y como comprar su remedio. Estoy en Argentina y no se como recargar el tubito de dispenser con mis nuevos globulitos, es recargable? aca no me vendieron ese dispenser y me quedaba cómodo por eso lo guarde.